At the annual meeting of his company on Saturday, the 5th of May, Warren Buffett, the billionaire investor and Berkshire Hathaway’s Chairman and CEO reiterated his negative stance towards cryptocurrencies. According to CNBC, Buffet repeated his idea that cryptocurrencies will come to a ‘bad ending’, and claimed that Bitcoin [BTC] is probably rat poison squared. An attendee from Ukraine raised a question on Buffet’s view of cryptocurrencies in response to this question, the ‘Oracle Of Omaha’ has made yet another anti-crypto statement. The billionaire investor claimed that cryptocurrency community is in for a bad ending after the euphoria wears off. A couple of months ago, Munger argued that people get involved in cryptocurrency because everybody wants easy money and called Bitcoin totally asinine. The 87-year-old billionaire investor, Buffet is known for his skepticism towards cryptocurrencies. The billionaire investor has made repeated statements claiming that Bitcoin is neither a currency nor a way of investing. In October 2017, Buffet claimed that Bitcoin is going to implode as it had entered the bubble territory. Some institutional players, on the other hand, are much more enthusiastic about Bitcoin. For example, the banking giant Goldman Sachs has launched a Bitcoin trading operation earlier this week, commenting that Bitcoin is not a fraud. The market is bearish as of today and explains the negative numbers that Bitcoin experiences. Bitcoin’s dominance is currently declining by day, it has dropped down to 36.2%. The coin, at press time, fails to impress in the last 24 hours as it shows a negative growth rate of 3.48%. Its average of last 7 days surges at 2.48%. Bitcoin as of now is priced at $9538 and has been declining in the last 1 hour by 1.17%. 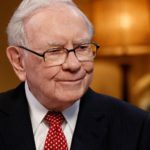 The post Bitcoin [BTC] slammed again by Warren Buffett – Calls it a tool for hoaxers! appeared first on AMBCrypto.